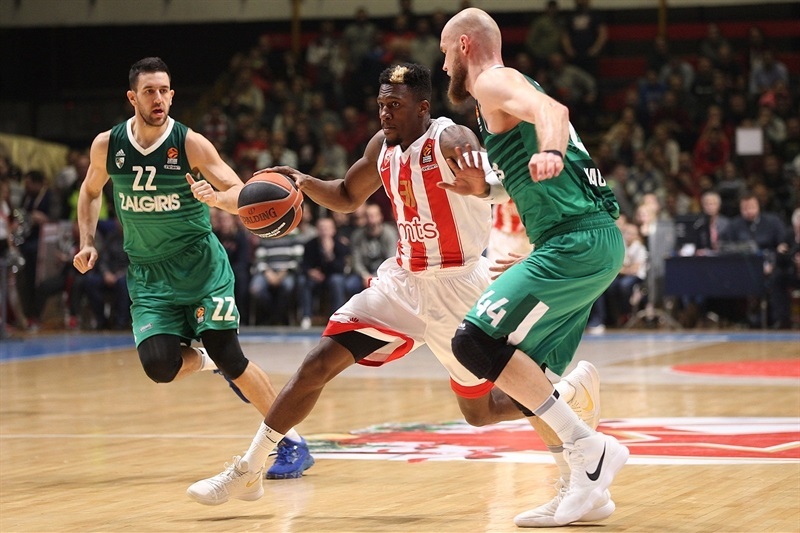 A physical battle of wills between two of the Turkish Airlines EuroLeague's hottest teams turned on late, great shot making by a rookie as Crvena Zvezda mts Belgrade defeated visiting Zalgiris Kaunas 77-65 on Friday. 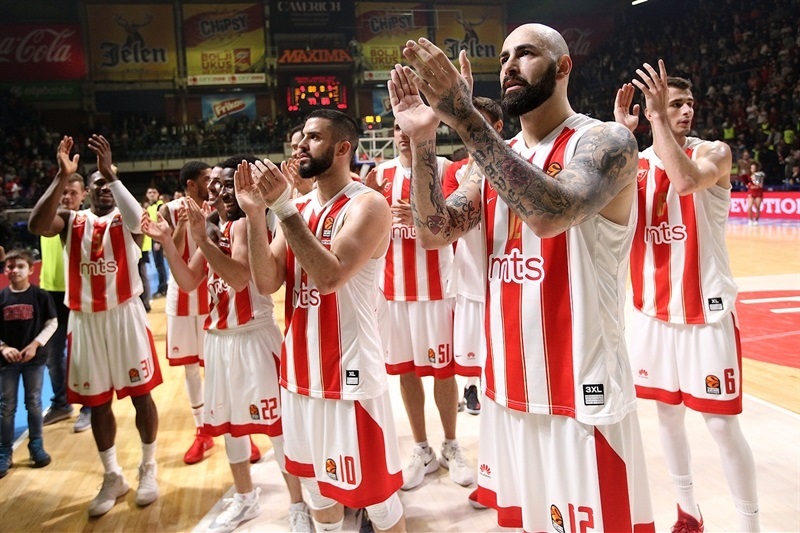 With its fourth victory in the last six games, Zvezda's record rose to 7-9. 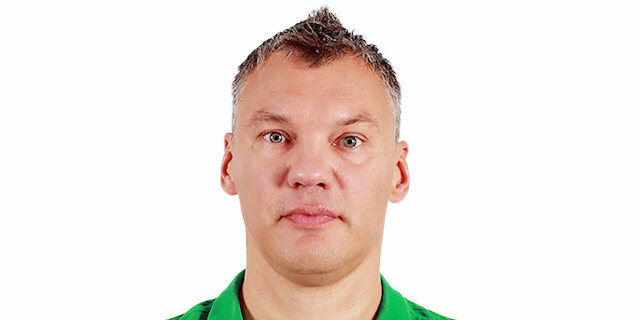 Zalgiris, which fell to 10-6, was denied a sixth consecutive win, which would have been a club record. 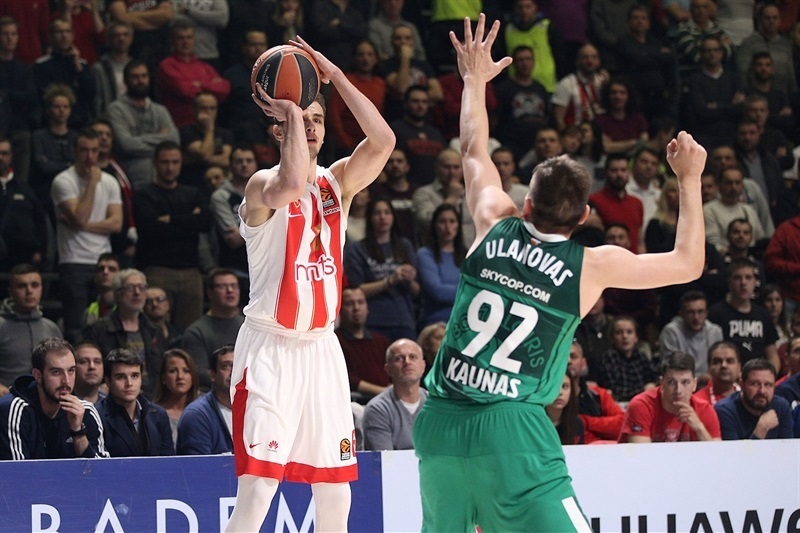 The game was close into the fourth quarter, when 22-year-old Dejan Davidovac buried a trio of triples to restore double-digit leads that let Zvezda salt away the victory. Taylor Rochestie paced the winners with a double-double of 16 points and 10 assists. 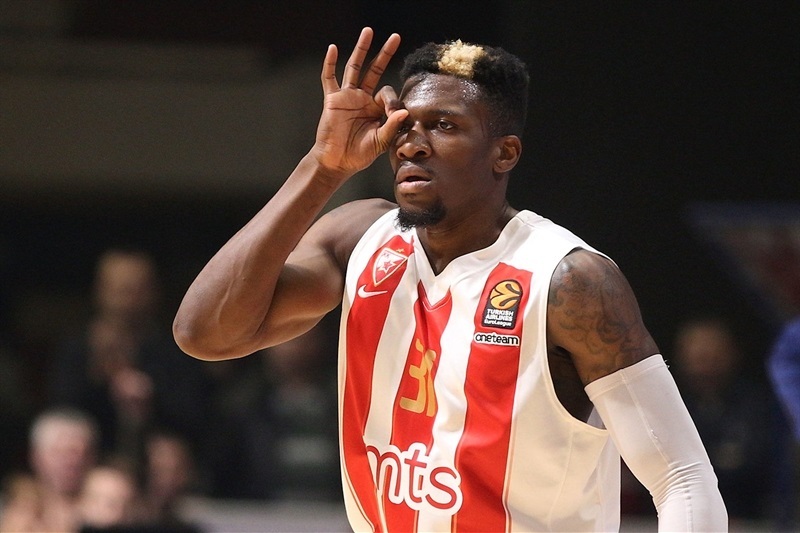 Davidovacs scored 11 of his 13 points in the final quarter, while Dylan Ennis came off the bench to score 12 for Zvezda, which had made only 3 two-point shots in the first half. 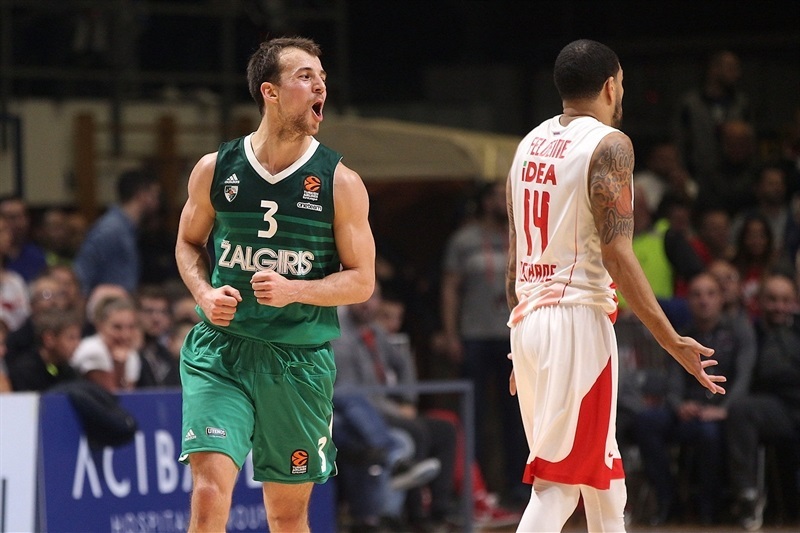 Kevin Pangos with 19 points and Paulius Jankunas with 10 were the only double-digit scorers for Zalgiris, which suffered from 5-for-18 three-point shooting and 19 turnovers, at least one by every player who stepped on the floor, many of them due to Zvezda's relentless defensive pressure. Rochestie drilled a cross-over triple and free throws to get the home team started strong at 5-0. December MVP Jankunas finally answered for Zalgiris, but Nemanja Dangubic was waiting beyond the arc at the other end. Pangos hit the first three-pointer for the visitors at 8-5. Edgaras Ulanovas slammed a miss and Pangos downed a layup to get Zalgiris closer at 10-9. Pangos then supplied his team's first lead from deep and Ulanovas lengthened it with a bank shot, 12-14. Zvezda newcomer Ennis used free throws to regain the lead but Zalgiris's even newer signee, Beno Udrih, converted a pair of shots from the lane as Zalgiris led 16-18 after a quarter. 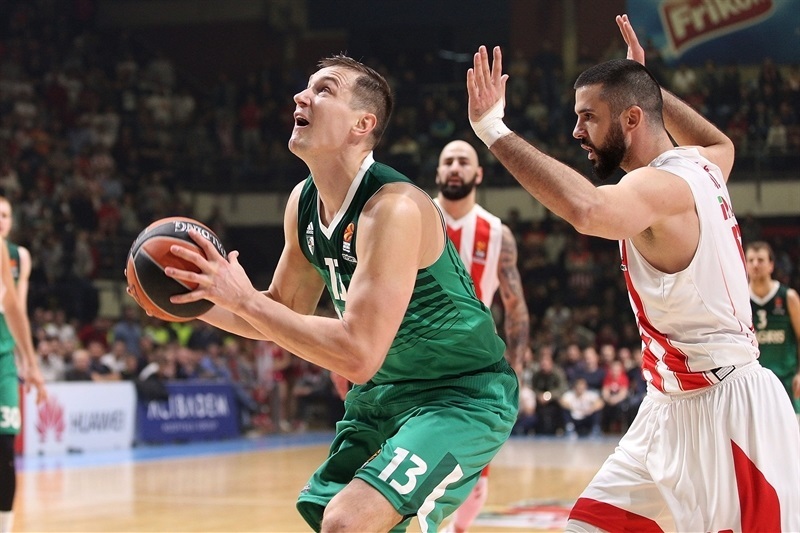 Stefan Jankovic hit Zvezda's first two-pointer and Aaron White replied with a baseline slam before Ennis drilled from downtown for a 21-20 Zvezda lead. Branko Lazic and White exchanged inside baskets as Brandon Davies hit free throws and Pangos drove for a layup to put Zalgiris in charge again at 23-26. James Feldeine dropped free throws and Rochestie a floater for a new lead change, 27-26. Free throws by Arturas Milaknis, Pero Antic and Milko Bjelica preceded Milaknis drilling a game-tying triple. 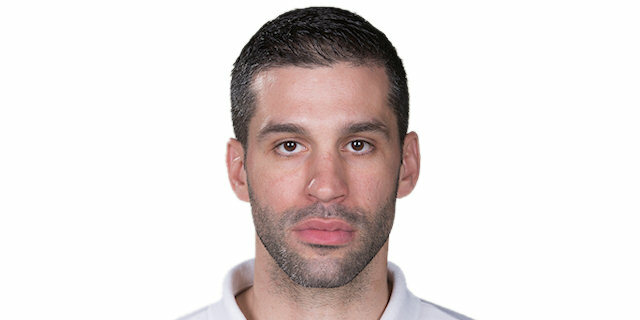 But Rochestie answered from a little closer and that was the difference as Zvezda held a 33-31 advantage at halftime. Rochestie fed Bjelica and got loose for a triple as Zvezda suddenly broke away to a 38-31 advantage after the break. Antanas Kavaliauskas finally put Zalgiris back on the board, but Antic answered with a turnaround at 40-33. Free throws by Pangos were offset by Mathias Lessort scoring in close and Jankovic blasting to the rim for a two-handed slam at 44-37. Ennis reappeared with a straight-up triple before Lessort blasted a fastbreak dunk for the biggest lead yet, 48-39. Axel Toupane drilled a much-needed corner triple for Zalgiris before White raced for a breakaway dunk to make it 48-45 after 30 minutes. 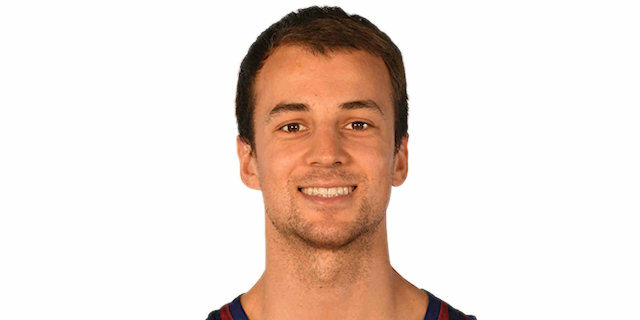 Pangos hit a catch-and-shoot triple for a 48-48 tie to open the final quarter. Dangubic kept Zvezda from losing the lead, but Jankunas re-tied at 50-50. 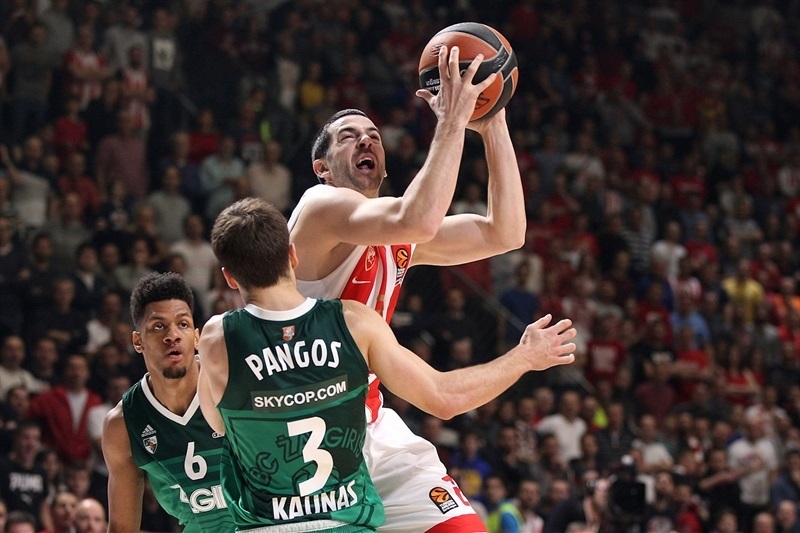 Bjelica drew the fourth foul on Jankunas before Rochestie buried his fourth triple and found Davidovac for another as Zvezda took control again at 56-50. Davidovac was back moments later with another shot from the arc and another high lead, 60-50. The 22-year-old was not done, either, as he shook off a failed fastbreak to block White twice at one end and then drill another triple at the other. When Bjelica dropped a jump hook, the Zvezda lead was 65-54 with under 4 minutes left. 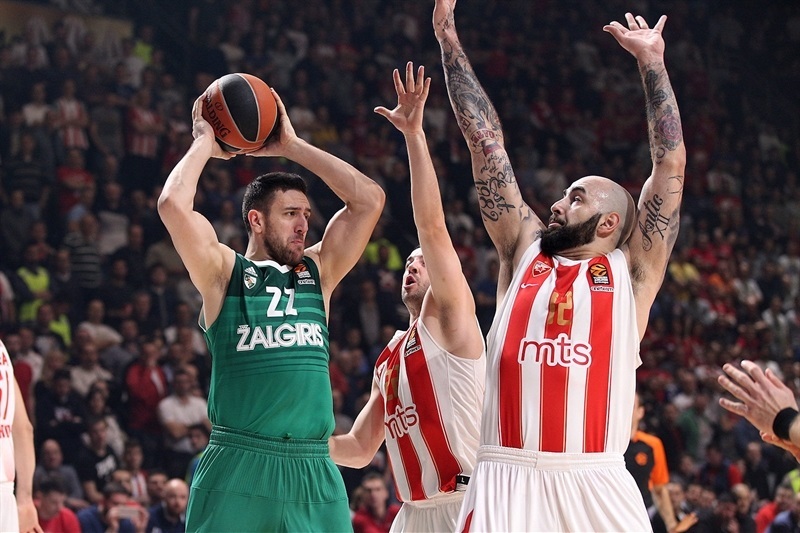 Rochestie soon fed Bjelica inside and Branko Lazic on the arc to make it 70-58 and leave no doubt that the victory would stay in Belgrade. "We played maybe the best game this season for us. We played very tough the whole game, against maybe the toughest team in EuroLeague. We were very concentrated on small things... I think it's a good solution and a very good win for us. After third quarter I just said, 'Be a team, be a family and that's it.' And we were a family today." "Congratulations to Zvezda. The smarter team won. For some of our guys, it's a lesson to play in this type of atmosphere. Some of them didn't handle the situation well. More importantly, our point guards didn't know what we were trying to do and trying to achieve at certain times in the game." 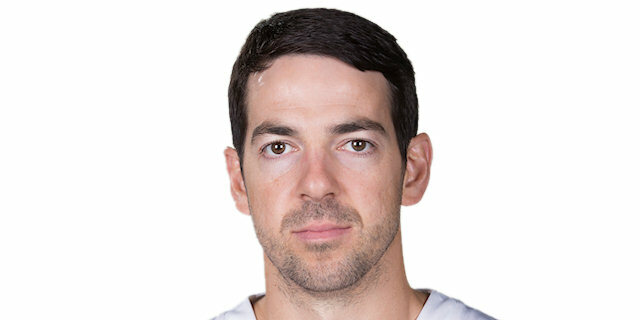 "I'm just very happy we came out with the win. It's a really exciting atmosphere. This is an amazing place to play, so we're really thankful for the fans. We really came together and had a great team win today. Anything you do individually is because of the team. We just kept fighting and playing our style of basketball. We missed some shots in the first half, we made more in the second. Davidovac came off the bench and had a great contribution, and like I said, it was just a great team win." "We didn't play very well, and they're a tough team, especially in this gym. So, we need to learn from it and get better. I don't think we were playing aggressive enough, a little hesitant, which is when you get the fouls, you know. We let them get some easy points, they saw the ball go in the basket, and then it got easier for them from there. You can't be surprised when teams hit shots, especially in their own gym. We just didn't do a good enough job guarding them and we can't have any excuses. They beat us. We weren't good enough and they played well."